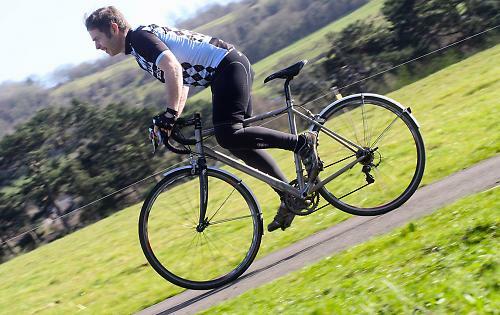 Sabbath bikes are a British company that's been going for the best part of seven years and have a small range of just six titanium bikes comprising of top end race, full touring and sportive style machines. The September is designed for, and to quote Sabbath's website, 'Utility and audax riders looking for year round riding.' Like most other titanium frames out there the September is made from 3Al/2.5V titanium tubing, although they've gone for straight gauge walls rather than double or triple butted unlike Kinesis and Genesis have on their respective all-rounders. Our Medium (54cm) test frame has a claimed weight of 1.55kg. Audax UK have relaxed their rules on compulsory mudguards a little but if you're buying a bike specifically for carrying your brevet card around the countryside you're going to be expecting full mounts and that's what you get with the September at the rear dropouts and chainstay bridge. Large 28mm tyres fit easily even with mudguards attached and if you want to press the Sabbath into commuting service rack mounts are also attached that can carry up to a cliamed 25kg no less. The geometry is pretty relaxed as you'd expect on a bike of this style. The ability to take full mudguards automatically increases the wheelbase length which should mean stable, surefooted handling. At the front end things are raised slightly with a 155mm headtube and set up with a single 10mm spacer under the stem a really good compromise of comfort and racing position was easily achieved. A 72° angle means the steering is confident and balanced without being twitchy. No tapered headtubes here though, it's a standard 1 1/8' external headset supplied by FSA. A good option on a year round bike as even though mudguards should keep the majority of road grit out if it does get into the races the headset can just be replaced. Things aren't so easy with an integrated version as the races are part of the headtube meaning new frame time. As is the norm with titanium the frame is left unpainted, the finish is known as Bright Brush which is semi polished while leaving a bit of grain from the material. The logo is sandblasted which looks good and also means no transfers to get damaged. The welds are tidy and non-obtrusive to the eye and this goes for the attachments. 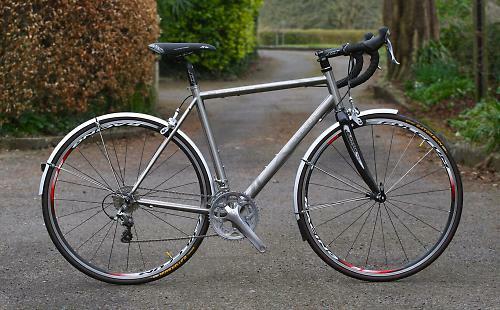 The cable guides and bottle cage bosses are all welded rather than riveted complimenting the longevity of the material. 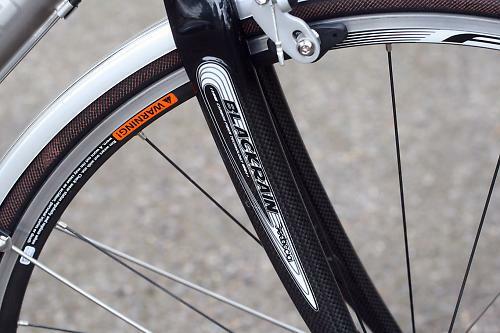 Dedacciai provide the Blackrain fork which has carbon legs and an alloy steerer. As you'd expect the alloy dropouts contain mudguard mounts plus there is plenty of tyre/guard clearance. There are plenty of build variations available and the frame also comes with the option of custom fit geometry by filling in the form on Sabbath's website. Our test model was built up with a full Shimano 105 groupset but with a swap to non-series deep drop brakes. Shimano provide the finishing kit as well through their Pro brand with an oversize alloy bar, stem and seatpost combo from the LT range. Sensible kit with understated graphics and the matt black finish compliments the titanium frame. Whells are by Fulcrum, their Racing 5 wheelset which is ideal for everyday use. They're quick enough for fast paced efforts but equally comfortable taking a knock or two from potholes and the like. Wrapped around them are Conti's well regarded 25mm Gatorskins that follow much the same ethos as the Fulcrum's, good rolling resistance coupled with decent reliability. SKS Chromplastics come as standard and once fitted they always remain in place and rattle free. With the mudflap attached they keep most of the rain of your feet and the rear does a good job of not covering your following ride buddy/wheelsucker in mud. The first bike you think of in terms of competition to the September is Genesis' Equilibrium Ti, same price (£2299.99 rrp), same finishing kit and a very similar weight – the Sabbath comes in 400g heavier at 9600g but is sporting mudguards which'll account for the extra weight. Once you hit the road though that is where the similarities end. While I found the Genesis a little bit lacking in the fun stakes the September is the complete opposite. It's got a bit of zing about it, feedback, responsiveness, all the things you want from a bike you could be spending a lot of time aboard. The frame has the comfort/stiffness balance down to a tee as the shock absorbency takes every vibration out of the ride, it literally runs silently on everything but the roughest of surfaces. Push the frame though and that suppleness isn't at the cost of stiffness. Whether you're climbing, accelerating or sprinting the Sabbath remains planted beneath you and responds to changes in pace instantly. The handling is easy to live with, no real surprises whether you're cruising along the main road or fighting your way through traffic. The relaxed head and long wheelbase provides the stable footprint that this style of bike requires and leaves you free to take in the scenery and enjoy the ride. With a 50/34 chainset and a 12/27 cassette both the downhills and the uphills are taken care of with regards to gearing. Whether in or out of the saddle the September climbs well due to the stiff frame and components getting the power down. 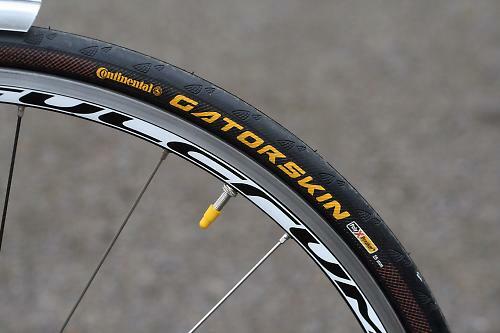 On descents the Gatorskins grip with confidence and you can really let go of the leash and allow the bike to gain speed. Things can get a bit twitchy once you're really flying if the road turns a bit technical but considering the Sabbath isn't a race bike that doesn't come as a huge surprise. The Fulcrum 5's dealt with the freezing wet spring weather we've just come through with no grumbling bearings or trueness issues from the inevitable pothole clout. The shallow box section rims happily shrug off most knocks and bumps and the braking surface bedded in quickly. The Conti tyres also lived up to their reputation with not a single visit from the puncture fairy and the rear especially seems to be wearing well considering the amount of miles covered. The performance of the entire 105 drivetrain doesn't suffer with a coating of road paste (that beautiful mix of salt, grit and a build up of chain lube) keeping the gear changes going between the weekly clean. There are a couple of things I'd change though. The brakes lack the bite of the Tektro's found on the Equilibrium Ti and the resulting effort of constant deceleration in built up traffic areas left my hands aching. A change to Swisstop Green pads helped a bit but there is quite a bit of flex in the calipers. The saddle is another sore point... quite literally. 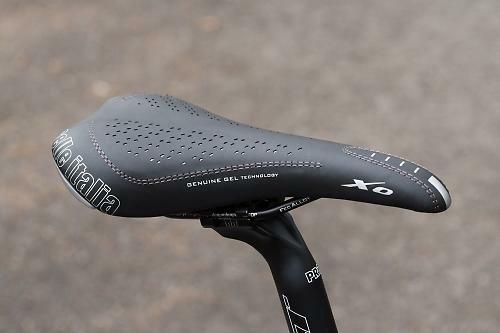 The Selle Italia XO is a budget offering to be fair and Sabbath no doubt expects the rider to change to a favourite perch from the start considering the big mileage intentions of the September. The XO itself though is a bit of a shapeless thing that shows no signs of bedding in at all. I tolerated it for the first 400 miles but then had to switch to something more comfortable. Once that was done the September definitely became the bike to grab out of the garage even on days when I could have taken the Sunday best race bike. I'd always take the Sabbath due to the fact it was almost as quick from A to B if you haven't got a number on your back and it was supremely comfortable meaning the ride home was hell of a lot easier to get motivated for. Overall the September is engaging giving a fun ride if you fancy a quick blast but also reserved and well mannered enough that you can ride for hours on it without giving it a thought. With this build the Sabbath September is one of those bikes where all the parts complement each other. 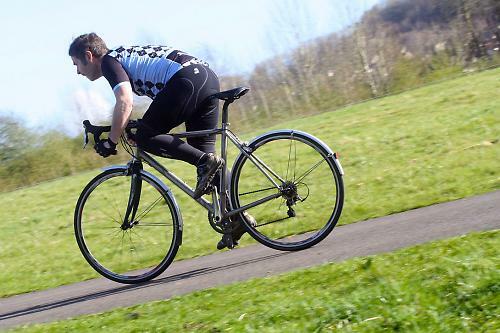 The low rotational weight of the Fulcrum 5's means the bike feels much lighter than the scales would have you believe and you could easily hold your own on a spirited club run or sportive course. The feedback is of a solid, sweet handling, comfortable road machine and apart from the small imperfections mentioned above it strikes a beautiful balance of reliability, speed and comfort over your chosen distance. The September is an audax/tourer that can also be used as a winter trainer or year round commuter. It covers all bases and is perfect as an all rounder, a one bike does all. The welds are neat and welded bottle bosses and the like all add to the longevity of the frame. A really good fit was achievable. 55cm top tube is pretty standard for a medium and the 155mm headtube was a good balance between comfort and aero. Yes very. The bars and other components are very stiff which they can get away with due to give in the frame. Its a typical titanium trait but the Sabbath seemed to exploit it better than most. 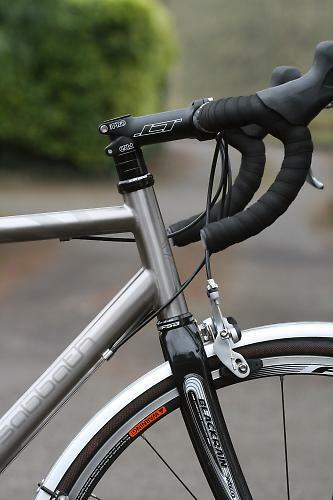 The whole bike is a perfect balance between stiffness and comfort provided by the titanium. All in all the handling as very good. plenty of feedback gives the rider confidence no matter what the road condition. The handling could become a little unresponsive at really high speed though. The saddle = bad, that thing was truly awful.The frame compliments a lot of the stiff components. The bar and stem combo keps the front pretty tight and the wheels don't show any sign of flex under effort. The bike wouldn't want to be any stiffer. The package works together to be fair with each component complimenting the next. 105 is dependable, good looking groupset that lasts well. It might not be the most refined but its suited to this style of bike. The Fulcrum's were better than I expected taking the knocks and bad weather the test miles were subjected to for what is basically a racing wheel. You can get them online for a smidge under 200 quid so they're a worthy upgrade to any bike. The tyres are among the top winter tyres for durability and rolling resistance and they didn't show anything over this test that would damage their reputation. Nice. Ti just looks so damn pretty. It looks like a bike. some tubes. A good thing. A minor point, but... on an integrated headset frame, the races aren't part of the headtube. the races are part of the cartridge bearing; usually a top and bottom race with the balls riding between, all in a pop-out and throw-away package. The headtube has a machined seat, into which the bearing statically sits. There's no movement between the two, provided the headset's well adjusted, and grit will have minimal impact. The benefit of an external headset is interchangeability, and the possible outcome that if you ride on a knocking or maladjusted headset for ages and are heavy handed (or heavy-arsed), you may escape with ovalised headset cups, not an ovalised headtube as with an integrated affair. That would be where the new frame comes in. Thanks Didonc, I was going to say that about integrated headsets, but you got in first. The brakes lack the bite of the Tektro's found on the Equilibrium Ti and the resulting effort of constant deceleration in built up traffic areas left my hands aching. A change to Swisstop Green pads helped a bit but there is quite a bit of flex in the calipers. A change of brakes would be my first upgrade as they lack any real bite at all. They felt like the rim/pad surface just needed bedding in but it never happened - even with all the grit and paste from wet roads. A change to Swisstop Green pads helped but the calipers just flex a little too much. 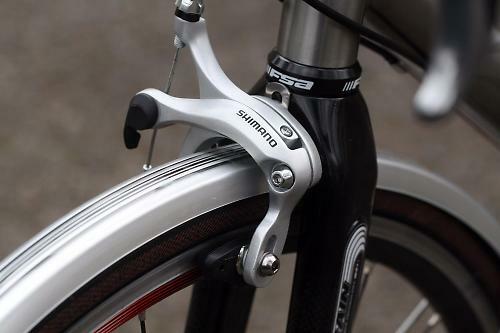 Stuart Kerton review of Genesis Equilibrium To 25/11/13 referring to the Tektro brakes. I have recently been reading reviews on Ti bikes with a view to getting one. 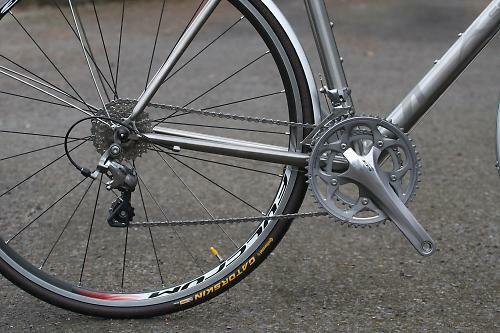 Though my budget was less than 2000 I would have preferred a bike with mudguard facility so considered the Genesis Ti but was put off in part by the thought of spending £2300 on a bike with poor brakes. I also looked at what I would consider more comparable to the Genesis, Sabbath's Silk Road at £2400 which is 105 equipped. In the end I decided I would get the Sabbath Aspire - and save £600 pounds. My point is that the two reviews contradict each other and influence choices.